The CleanSweep Conspiracy is the product of a fertile, some might say overactive and warped imagination. I grew up listening to my grandfather, an Ozark Mountain storyteller, spinning tales of the caves on his farm, describing them as hiding places once used by Jesse & Frank James’ gang. It didn’t matter if the stories were true or not. 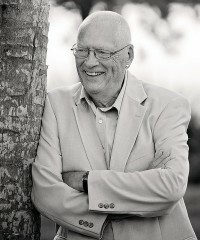 Those legends set fire to my imagination, creating images that emerged slowly over the years, finally igniting as my short stories and novels. My mother told me I wrote my first short story when I was 11, claiming it was published in the PTA newsletter. I don’t recall that, but I do remember my first creative writing class 43 years later. I still honor the memory of that first teacher, Henrietta Blake. She gave me permission to write and told me I didn’t need a degree or a license to be a writer, but I did have to honor the craft by learning how to make my writing and stories be the best I can create. For me, the joy comes from meeting new characters, the ones that come to me in my imagination. Then, to see their stories come to life. I’m at my happiest when they are whispering their stories faster than my fingers can type. The chore part? Editing and rewriting. Sometimes looking back from the finished product, it's embarrassing to read the early drafts. But that hard, sweaty work of editing and rewriting pays off with a story better told. I also wish I hadn’t daydreamed my way through my basic English classes in high school. I know the difference between a coma and a comma, but I keep putting those darned commas where they don’t belong and leaving them out when they do. This is your 4th book and the first with a political focus. What inspired this story and its characters? Where did I get the idea for The CleanSweep Conspiracy? 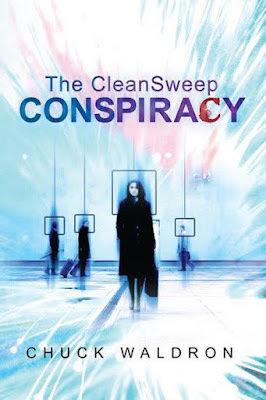 I’m not sure where the ideas for my first three novels came from, but in a recent interview when I was asked about the inspiration for my book The CleanSweep Conspiracy I was able to answer. The idea came to me watching images of rioting on the television news and reading about it in the newspapers. Let me ask you to use your imagination. Visualize if you will, establishing an emergency police force of over 10,000 additional uniformed officers drawn from surrounding police services. Add 1,000 security guards from other agencies and several military units. Think about it happening all in preparation for a conference of global leaders in your city. Imagine the government drawing lines on a map to outline an area with checkpoints to monitor who enters and leaves. Picture a scenario where people would be issued identity cards to determine who belonged and would be allowed to pass the checkpoints.What if you learned that before it was over more than a billion dollars would be spent to head off rioting and trouble makers, and in spite of those preparations, destructive rioting took place when troublemakers infiltrated crowds of peaceful protesters? What if the police finally waded into the mobs they were wearing black tape over their shields to prevent identification? That couldn’t happen, you say? The story above-described actual events that occurred in a major North American city? The G-20 Economic Conference took place in a Canadian city – Toronto - in 2010 but might it happen in any location? 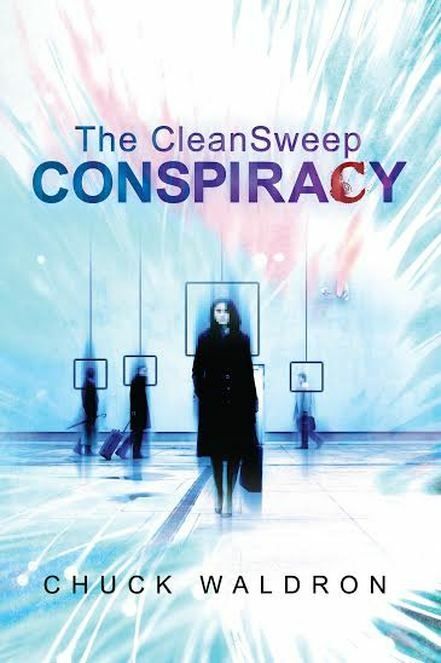 The seed for The CleanSweep Conspiracy was planted as I read about the planning, the riots, and the follow-up of that event. It’s why I wanted to the story to take place there, but I could have picked many locations to serve as the example. What kind of historical research was needed to bring it alive? I was a history major as an undergraduate when I was at university. Conspiracy and social engineering have been with us throughout history. I typed the word – conspiracy – into a Google search. It came back with 89,600,000 pages. Conspiracy theories range from the wacky to the frightening. My challenge was to let my imagination grab those parts that were on the frightening end of the “what if” continuum. I was interviewed on a radio show and found there are more than enough people who believe in the wacky. I wanted my characters to experience something that just might be scary to think about. In The CleanSweep Conspiracy, I found several early themes reminded me of statements in the recent Presidential debates. Was this a coincidence or was this something you noticed before and incorporated? Someone suggested the theme of conspiracy implies that I don’t trust my governments or countries. While I may have intended the story to be a cautionary one, that is a wrong assumption to think I don’t have faith. I’m the proud citizen of two wonderful countries, Canada, and the United States. Both are beacons of hope for so many around the world. That person wanted me to agree that things are in bad shape. Listening to the debates I sometimes shudder at what may rest behind the words, but I think my two countries are as remarkable as they ever were and able to withstand stormy weather. My interest in a story like this dates back to twenty-five years. The impetus for The CleanSweep Conspiracy, however, dates from that G-20 conference I mentioned earlier. That I take my writing very seriously and have a hard time putting a lid on my sense of humor, tending to irony. I often like to pretend interest, lack perseverance, and could generally use a good talking to—until it comes to my writing. 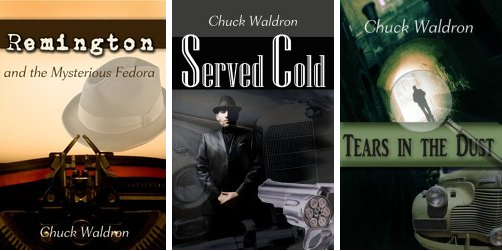 I’m drawn to thrillers with a touch of espionage. I like good mysteries. I’ve even enjoyed one or two happy-ever-after romance novels. Best of all, for me? History, especially the times between what was called the Great War before it came to be Word War I, and the beginning of World War II. That time between November 11, 1918, and September 1, 1939, now look like a political Petri dish, the incubator for so many of the global politics affecting us today. I’m sometimes a bit discouraged at our lack of ability to learn from the past, but that era did give us some great heroic and evil leaders. Do you have any advice for fiction writers just starting out? Get to know your characters. The write, write and keep writing. Then learn how to edit out the bad and keep the good. We writers know how hard it is to let go, but often that writerly phrase just doesn’t move the story. Friends and family may heap praise on writing, but critics are more valuable. They point out the weakness in a story. And, don’t be intimidated. Each of us has our stories. Our responsibility is to tell it the best we can, no more or less. You will know when you write a proper sentence and learn to howl and laugh at the ones we put in our delete file. Write something every day. Even this interview is like me chanting my daily mantra, write, write, write, write.